The art work in Riverfront Park is diverse and spectacular. Some are very modern in design, others very real like. 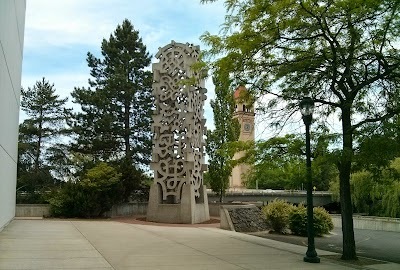 The clock tower behind this modern piece lets the viewer make no mistake about location in Spokane. This entry was posted in Pleasing Structures and tagged art, park, riverfront. Bookmark the permalink.